Some great things happen when friends get together to farm! 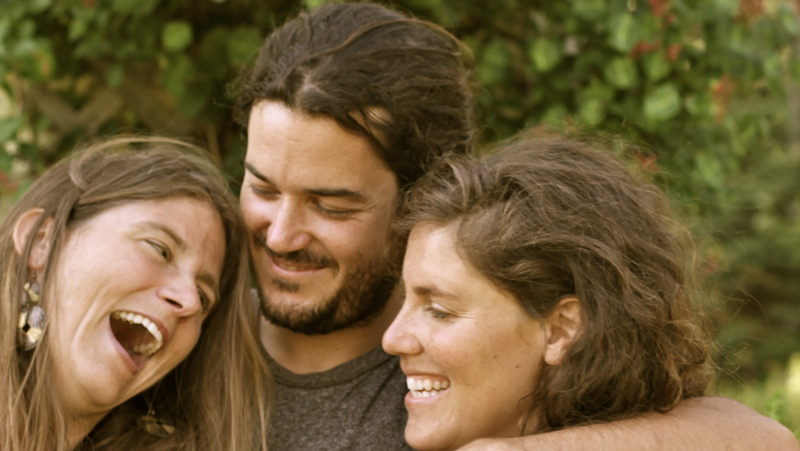 The three of us started our chai business in 2008 when living together running an organic farm. We were selling veggies at farmers markets and what better to go with fresh, luscious vegetables than chai?! We had very loyal customers every week and became well known in the small town of Brooksville, Maine. Word spread about our chai and how flavorful and full bodied it was. We started to sell cups of chai at the Common Ground Fair in Unity, Maine in 2009. Our business began to receive more recognition and customers were asking for a way to make it the way we did in their own homes. After a lot of cups of tea and a lot of conversation, we created a unique blend of spices and black tea to create a way for folks to make our chai at home and enjoy not only the flavor but the cooking itself. We source all our organic, fairly traded ingredients for freshness, quality, and sustainability both for the places and the people who grow the ingredients to provide you with delicious chai! We love the way a warm cup of chai brings people together and has brought us all together through this opportunity to make chai for you.